About Starlight Alpacas | Swannanoa, North Canterbury, New Zealand. Starlight Alpacas was established in 1998, owned and operated by Kevin and Lesley Burgess, based at Swannanoa in North Canterbury, New Zealand. Starlight Alpacas specialise in white, fawn and brown Huacaya alpacas and are proud to be co-owners of a multi award winning brown stud male ‘Aquaviva Cadbury’ to enhance the quality of their coloured alpaca genetics. Both Kevin and Lesley have been active members of the Alpaca Association New Zealand (AANZ) for some 15 years, including being on sub-committees and stewarding at A&P Shows throughout NZ. Kevin has been chair of the AANZ Show Sub-Committee and chair of the AANZ Judges Group. 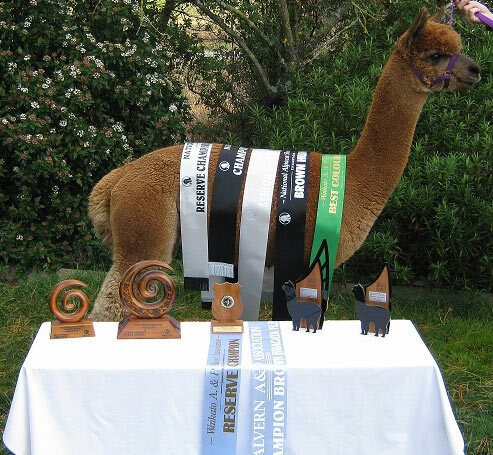 He was an active member of the working group which organised and ran the three National Alpaca Expos in 2004, 2006 and 2008. 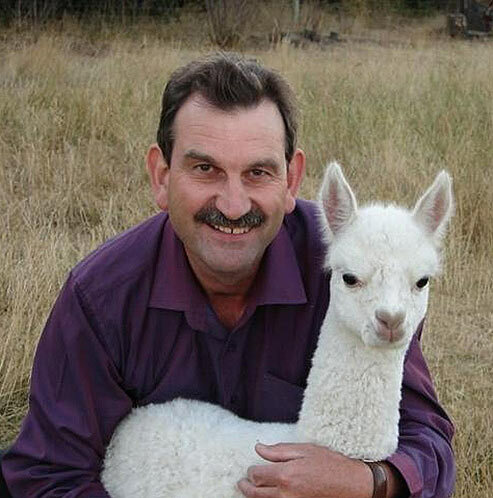 His skills as a judge were used to help shortlist and select those alpacas offered for the Inaugural AANZ Alpaca National Auction in 2006 and again for the Expo in 2010. Currently registered with the British Alpaca Society (BAS) as a New Zealand screener for alpaca exports to Britain. Kevin and Lesley love alpaca breeding as a lifestyle choice and welcome people to come and visit so they can share their experiences and knowledge to anyone wanting to learn more about these incredible and inquisitive animals. Starlight Alpacas is dedicated to improving the quality of the New Zealand Alpaca through selective breeding and sound farm management practice. Starlight Alpacas is one of eight alpaca breeders in partnership under the name of Kiwi Farm Alpacas. Our clients gain from this partnership by having access to a variety of over 350 top quality alpacas, fibre and product.